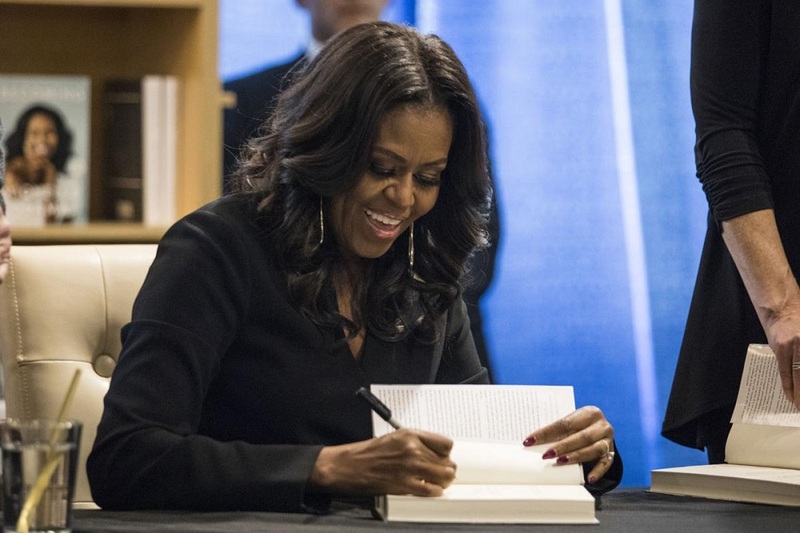 2018 has been the year of highly anticipated political books and Michelle Obama‘s “Becoming” is now at the top of that list. It came out on Tuesday, and it’s expected to sell a cool million copies. Michelle Obama’s 12-stop jaunt across the country — and an ocean — is not your average book tour. Of course, the former first lady is not your average author. Tens of thousands of people purchased tickets to Obama’s United Center appearance — paying from just under $30 to hundreds or even thousands of dollars for VIP packages. Other stops include Los Angeles, Washington, Detroit, Boston, Paris, and London. The tour ends next month in New York City’s Barclay Center, with Sarah Jessica Parker as moderator. Although some fans have complained about the high cost, 10 percent of tickets at each event are being donated to local charities, schools, and community groups.